The anticipation of fall stirs every sportsman's soul. All through the summer months, we dream about brilliant fall colors, the chill in the morning air, the rustling of leaves as a whitetail buck approaches. If this stirs your soul, let me introduce you to one of Oklahoma's premier hunting properties. Eight Mile Mountain Ranch is located in the rugged San Bois Mountains of Southeastern Oklahoma, this spectacular 2,583 acre, high fence ranch offers a first class hunting experience. This property features a 5,000 square foot lodge sitting on a private 8 acre stocked lake. The ranch offers 150-250 class trophy whitetails, axis deer, fallow deer and trophy red stag. Approximately 800 acres was left unfenced to take advantage of native whitetail, black bear and eastern wild turkey. This ranch has tremendous topography and stunning forest consisting of pine, oak, and hickory mix and an abundance of water including 10 ponds and over 4 miles of creek frontage. This ranch offers miles of back country horseback riding, hiking, and ATV riding in a very private and secluded setting. Terrain: Magnificent mountain land, sitting in the San Bois Mountains. Elevation ranges from 1,421 ft. atop Eight Mile Mountain to approx. 900 ft. in the bottoms of Boggs Hollow Creek. The many mountain tops create stunning views and panorama's of the surrounding landscape. The terrain also offers many draws, creek bottoms, canyons and mountain tops that create the perfect landscape for any outdoor experience. Water: There are 10 ponds, including an 8 acre lake and over 4 miles of creek bottoms. Game: The high fence portion of the ranch offers: 150-250 class trophy whitetails, axis deer, fallow deer and trophy red stag. The 800 acres not fenced offers Whitetail deer, Eastern Wild Turkey, Black Bear, coyote, bobcat and wild hog. Tim Diehl is the broker/owner of Southeastern Oklahoma Realty LLC, located in McAlester, Oklahoma. Tim has over 20 years experience in the real estate industry including sales, development, and rental properties. Tim has specialized in selling hunting, recreation, and ranching land, which has allowed him the opportunity to help many outdoorsmen and ranchers find their perfect properties. Raised in Oklahoma, Tim has firsthand knowledge of the land and knows the spirit that landowners in Oklahoma possess. His passion for the outdoors makes him the perfect person to help you with your purchases of hunting land, cattle land, and 1031 exchanges. 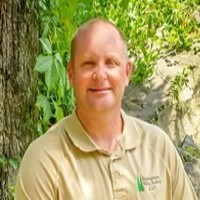 Being an avid hunter and sportsman himself gives Tim added insight to help you find your perfect property. Whether you are looking to buy or sell you Oklahoma land, let Southeastern Oklahoma Realty LLC put our experience to work for you!